By combining allocations of several MDF programs into a single pool of marketing dollars, partners large and small are making more effective and efficient use of resources many companies often leave on the table. MRP, a marketing and sales agency, has successfully managed multi-vendor MDF programs for partner companies. 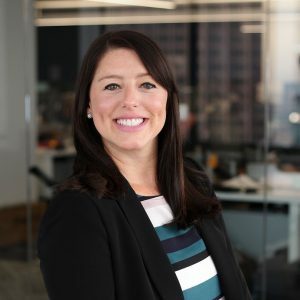 Devon Day Wellbrock, senior vice president, Americas, chatted with Channel Marketer Report about how her company is helping partners get more value from their MDF allocations. CMR – Compelling different brands – even non-competing companies — to approve MDF allocations for a shared program seems like a tall order. What prompted MRP to consider this? Devon Day Wellbrock – As we executed more and more small programs for a variety of brands for the same partners, we recognized that we could deliver a better service, ultimately driving greater participation in MDF programs. CRM – On what side of the vendor-partner relationship did you see the biggest hurdle? Devon Day Wellbrock – The biggest challenge with MDF for both vendors and partners has always been compliance with the mixed requirements of how money can be spent and proof of performance reporting. Companies have different requirements on how to deliver proof of performance on MDF. So part of our job is to be almost like a white-labeled resource for vendors to handle all the complexities of their rules and regulations. Very often, we’re already versed in what those rules are. If there are outliers we don’t know, the partner can tell us what their requirements are or give us access to whatever systems need to be used so we can follow the rules on their behalf. CMR – Do the requirements of MDF programs vary significantly? Devon Day Wellbrock – Across the board, there’s a lot of similarity on how vendors want their partners to invest their MDF allocations. It should be digital. It should be demand gen. And it should produce leads. By pooling dollars together from multiple MDF programs to do a more robust execution over a longer period of time, we’re able to produce better results for the partner as well as all of the participating vendors. Equally important, the effort on the part of the partner to take advantage of the different MDF programs is greatly reduced. We provide the partner with a single point of contact for the implementation of the programs. And because we’re generally aware of the vendors’ requirements or can learn them quickly, we can deliver on behalf of the partner the proof of performance each participating brand requires. CMR – Are partners surprised to discover this service is available to them? CMR – Are there circumstances that limit the ability to pool MDF allocations? Devon Day Wellbrock – This model doesn’t really lend itself easily to MDF allocations that partners have to match. Most of the campaigns we’ve managed are for partners that have earned MDF that they don’t have to match. CMR – Reimbursement seems to be a major stumbling block for most MDF programs. Are you working directly with vendors to make reimbursement easier for them as well as their partners? Devon Day Wellbrock – For manufacturers that we have close relationships with, we’ve been trying to figure out ways to avoid the pass-through of MDF in general. In one instance, partners don’t even get access to their MDF at all. There’s no pass-through: the funds come directly to MPR. We encourage the right program, submit all the proof of performance — handle it 100%. CMR – Do you expect that more vendors will think about out-sourcing their MDF programs to companies like yours? Devon Day Wellbrock — Some companies realize they can’t manage the complexities of executing an effective MDF program. they want to give their partner choices, but they don’t have the bandwidth to deal with those choices ,or have the expertise to guide the partner in the right direction. We’ve been executing for partners for so long that we know what ‘good’ looks like and how to make a program successful. CMR – How eagerly are vendors embracing the concept of pooling MDF to support a shared campaign? Devon Day Wellbrock – I think that more vendors, especially those that like to innovate, definitely see the value in allowing partners to pool MDF. And any vendor who’s had a partner pass on MDF saying “”No, thanks. I’d rather pay money to not have to put myself through the process it takes to spend it,” sees the opportunity our service provides. If we can drive adoption and utilization of the funds, they’re on board. At the end of the day, most vendors are focused on getting the proof of output around their rules and revenue requirements. CMR – What sort of programs are you running with pooled MDF resources? Devon Day Wellbrock – With a large enough budget – one that’s guaranteed quarter-over- quarter– we’ve been able to do some really exciting things around account based marketing where we can talk to partners about their goals for the year and figure out a set of accounts that they want to move the dial on. For example, if we focus on 150 accounts, we can use our predictive technology to understand what stage of the buyer journey each of them are in. Then we can present them with content based on their buyer journey stage either through display, email marketing, or direct mail, ultimately pulling them down the funnel until they’re ready for a sales conversation. But other efforts are less strategic. Sometimes it’s just as simple as we have to book a bunch of BANT leads because they need meetings. Sometimes our goal is to meet short term goals they have to hit. CMR – Is there a threshold for how many dollars a partner can pool to create justify the effort? Devon Day Wellbrock – That’s a good question. Typically, we think that anything under $20,000 to $25,000 isn’t sufficient to support a program. And if limited funds are being provided by too many vendors, a pooled program probably isn’t going to satisfy their requirements. CMR – As I commented when we started our conversation, pooling MDF effectives does seem like a heavy lift. Devon Day Wellbrock – We have the people that can manage the relationships and complexities of successful MDF programs. It’s definitely not something you can just do through software and make digital. It really takes strategic conversations and a lot of work. So yes, I think we found a niche in the space.